Destination weddings are fabulous because they create a special place on the map for every couple but they are especially amazing when a couple has such a deep history the location. Marlo and Daniel chose to share their wedding day with friends and family in the stunning Science Centre in Old Montreal and the surrounding cityscape created such a beautiful backdrop for this gorgeous couple. Brick buildings, romantic architecture, cobblestone streets and old-fashioned light posts really gave the wedding a unique touch. Aside from the lovely surroundings, Marlo was absolutely breathtaking in her gown it fit her perfectly and featured an ornate applique that really gave the dress so much detail. Her makeup, vintage-inspired hairstyle and veil complemented her so perfectly she looked like she stepped out of the pages of a bridal magazine. 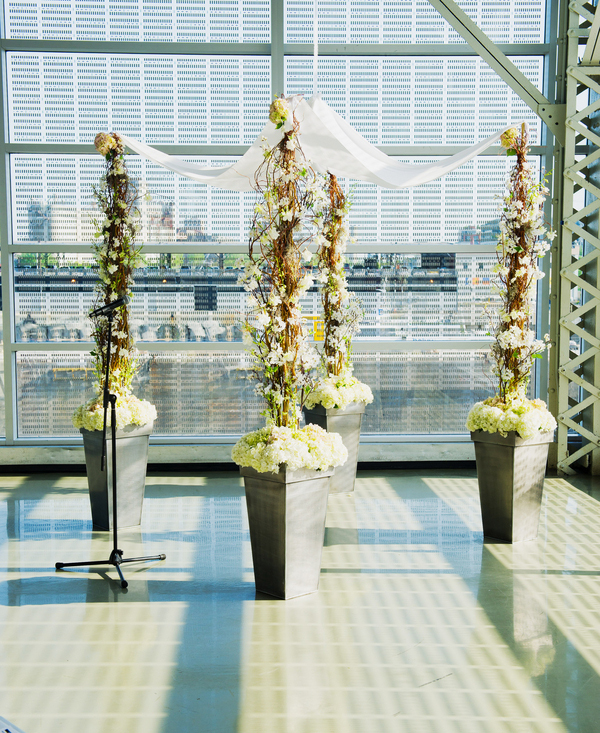 Gorgeous flower arrangements and archway gave the ceremony a fresh, modern look and it was stunning against the glass windows looking out on the city. The reception was equally as beautiful long dining tables provided an intimate experience for guests clear seating chairs kept the room looking open and spacious even when surrounded by dramatic color. 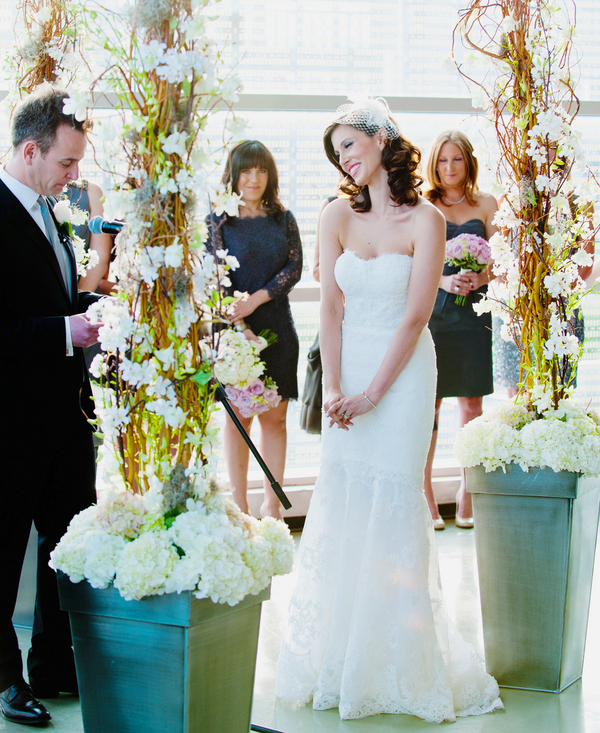 This fabulous couple really created a stunning occasion! 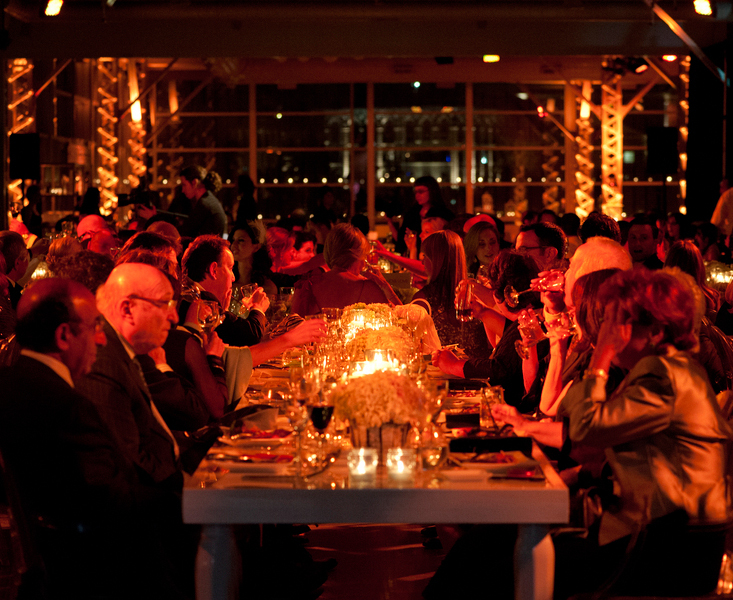 Vendors: Photographer: Phototerra Caterer: Nicolina Servello Catering Event Planner: Maddy K Weddings + Events Atelier Equipment Rentals: Sofa to Go,Celebrations Rentals / Other: Centre des sciences de Montral - Montreal Science Centre!